The Superintendent’s Teacher Advisory Cabinet (STAC) is an opportunity for OSSD teachers to be actively involved in shaping the future of our district. The cabinet consists of 22 members who were selected to serve a one-year term (to continue through next school year) and will act as an advisory committee to the superintendent on issues which are generated from the local school and district levels. We suggest that teachers know their building level representative and use this opportunity to share concerns and ideas. 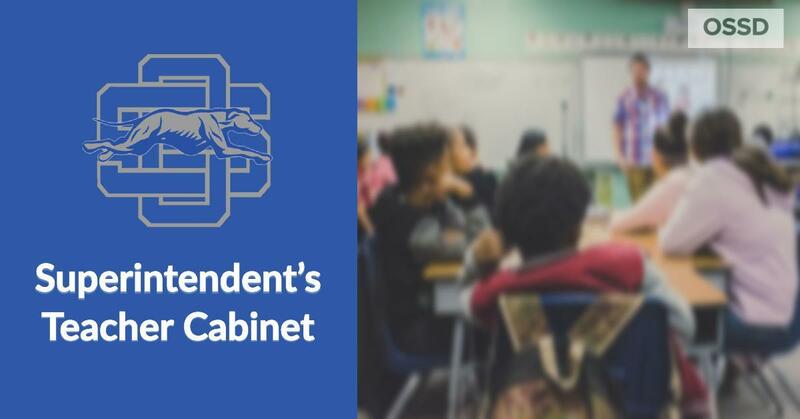 This Cabinet will meet on a monthly basis with the Superintendent to provide direct, honest input in the development of best practices, policies, and programs affecting classroom instruction and the future of OSSD students.